Forced migration — as a result of conflict, natural or environmental disaster, or other stress factors — is one of the biggest causes of hunger in the world today. Writing in the 2018 Global Hunger Index, Dr. Laura Hammond of SOAS University of London outlines the challenges and some possible solutions. The following are excerpts from Laura Hammond’s essay in the 2018 Global Hunger Index. Read more about the Global Hunger Index or download the full report. 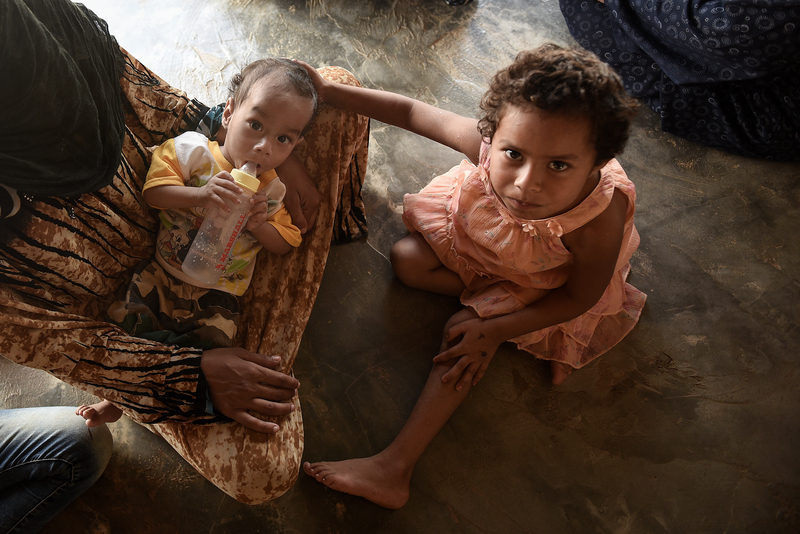 During periods of conflict, hunger may be both a cause and a consequence of forced migration. 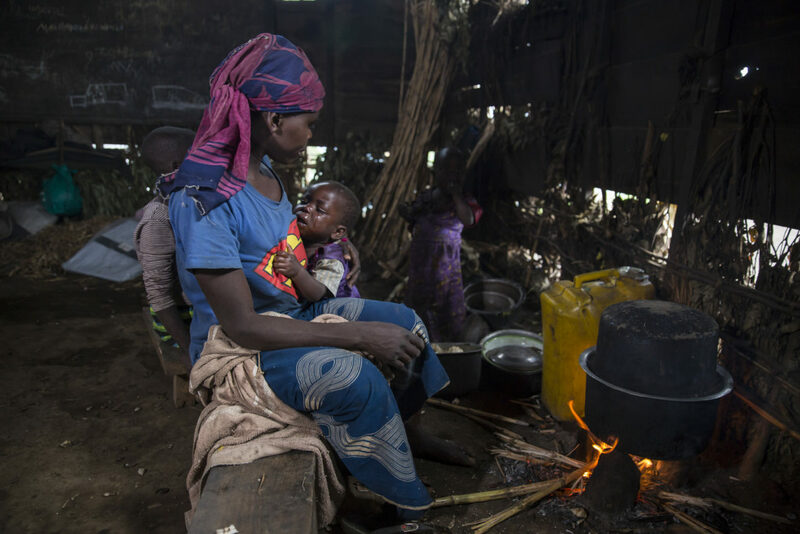 People affected by conflict experience it not only as a threat to their lives but as an assault on their livelihoods that can undermine their ability to provide for their most basic needs, including food. Conflict can restrict people’s movement and their access to markets, farmland, and jobs. If they cannot produce the food they need to survive or earn an income to purchase that food, their nutritional well-being is compromised. Some people do indeed manage to flee to safety with the bulk of their savings or assets intact and do not face the immediate threat of hunger before they are dis-placed. Others are not as fortunate: by the time they move, they have lost everything. Still others are displaced multiple times, with each move further eroding their resilience, livelihood, and food security. 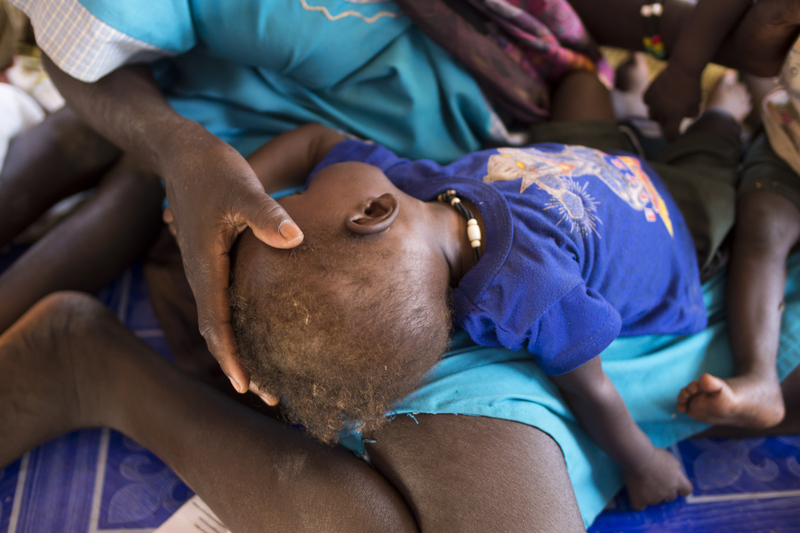 HUNGER AND DISPLACEMENT should be recognized and dealt with as political problems. HUMANITARIAN ACTION ALONE is an insufficient response to forced migration, and more holistic approaches involving development support are needed. FOOD-INSECURE displaced people should be supported in their regions of origin. THE PROVISION OF SUPPORT should be based on the resilience of the displaced people themselves, which is never entirely absent. Overall, the tools currently used to respond to forced migration are insufficient because they focus on technical, short-term humanitarian responses rather than addressing the political economy of displacement and the longer-term needs of the displaced. The Sustainable Development Goals (SDGs) promise to “leave no one behind,” and SDG2 commits the world to ending hunger by 2030. 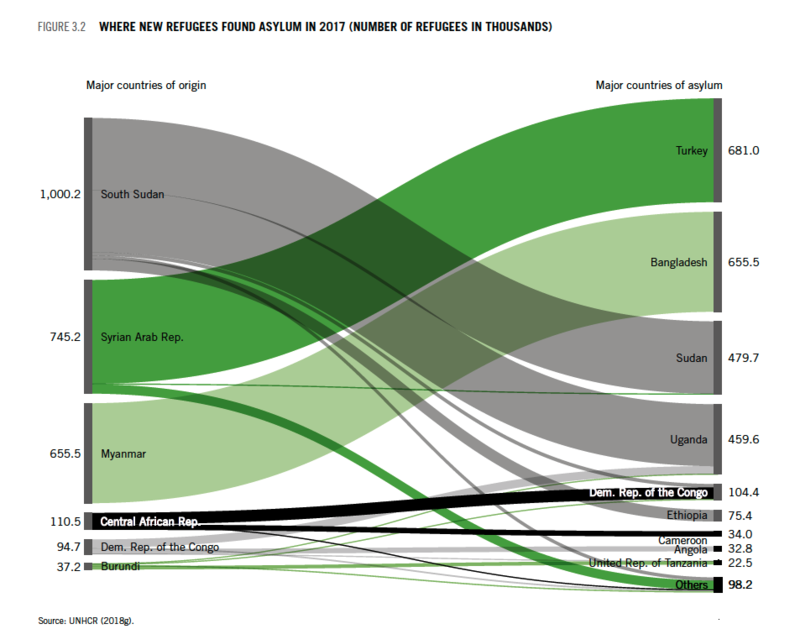 Yet for regions hosting millions of displaced persons, the prospects for meeting those goals without considering how to include displaced populations are slim. Policy documents, international agreements, advocacy pieces, and academic writing often pay lip service to these four points, but they are rarely incorporated into action on the ground. Addressing the challenges effectively requires going beyond humanitarian responses, recognizing the political solutions that must be encouraged and strengthened, and engaging in longer-term development efforts in the meantime. From the outset, displacements should be seen not as short-term crises but as potentially long-term moves that will extend over many years. This approach must extend to all sectors: facilitating mobility and income-generation opportunities, supporting education and training linked to employment opportunities in and around areas of displacement, providing health care support to people with chronic illnesses, and ensuring that people have access to markets so they can obtain enough high-quality food for the long term. From the outset, displacements should be seen not as short-term crises but as potentially long-term moves that will extend over many years. If such a view is taken from the start, a great deal of time, resources, and suffering can be saved. The full text of this essay is contained within the 2018 Global Hunger Index. Dr. Laura Hammond is a faculty member of the Development Studies faculty at SOAS (School of African and Oriental Studies) University of London.